In literature and in life we ultimately pursue, not conclusions, but beginnings. Our nemesis is time, against which we have a single ally, memory, and even it betrays us. We all nurture impulses which promise freedom from the demands of others, even if that freedom means death. 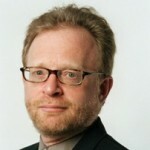 Sam Tanenhaus is an American historian, biographer, and journalist. He is a writer at large for The New York Times. Tanenhaus received his B.A. in English from Grinnell College in 1977 and a M.A. in English Literature from Yale University in 1978. His siblings include psycholinguist Michael Tanenhaus, filmmaker Beth Tanenhaus Winsten, and legal historian David S. Tanenhaus.